Many blogs demand more than just two cloumns and some colored fonts. The magazine styled WordPress blog design is the third re-design in 5 years for HarlemEnglish.com. Every few years I am asked to come back and give a modern, fun, and easy to manage new look for their African-American current events blog. As opposed to the last design which used mostly dark black and grey with pink highlights. This design is light, breezy, with light peach and lavender gray colors. 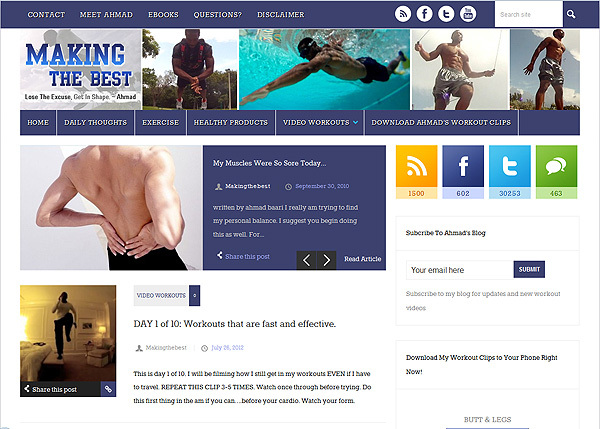 A fresh blog design re-vamp for your website or blog is always a great idea . See the new design here or click on the screenshot below!